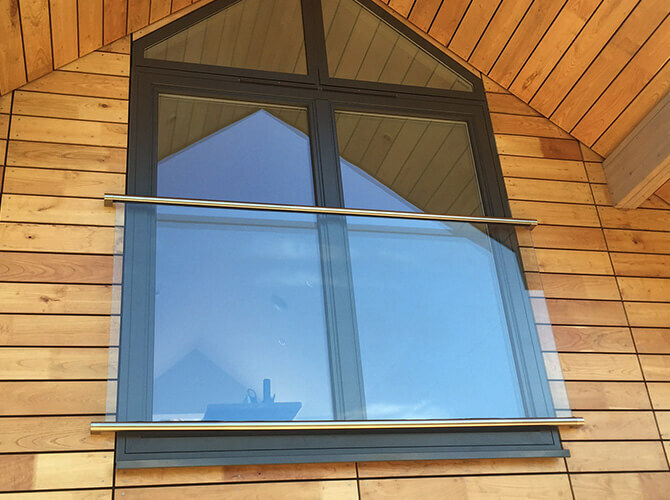 A truly stunning installation at private residence in Ashford of a Frameless Glass Channel Balustrade and a Juliet Glass Balcony, both manufactured and installed by S3i. Balcony area with fascia mounted glass channel balustrade system. 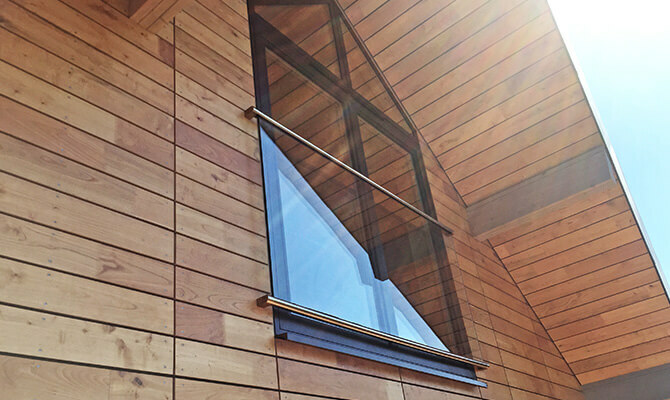 Juliet balcony in glass and stainless steel complimenting the wood exterior of this property. 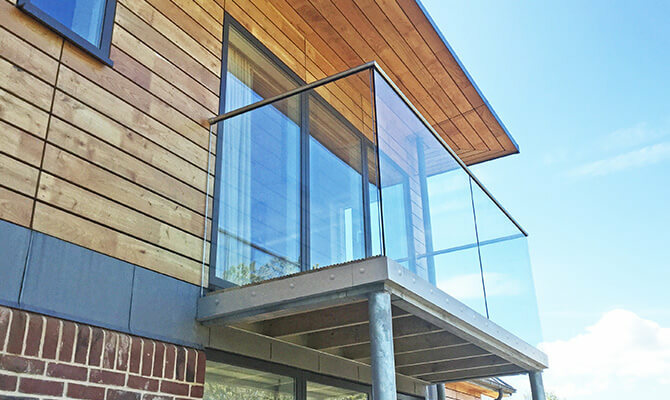 Juilet glass balconies not only look stylish but also act as a safety barrier on openings. 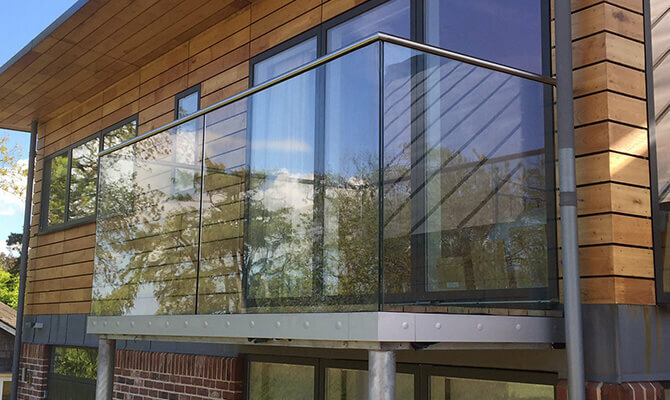 Glass channel balustrade with its minimalist design is the perfect choice for more light and a perfect view. 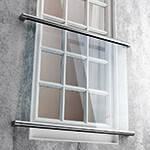 Juliet Glass Balcony System - Stainless steel components and fittings, all you need to add is the glass.